A traditional house gets an edgy makeover with custom cabinetry, bright colors, and some fun furnishings. Brookline's neighborhoods are full of charming homes, and this is no exception. Designed as part of Frederick Law Olmstead's Fisher Hill, this home exudes Victorian charm from the exterior, but needed to reflect the new homeowners on the inside. 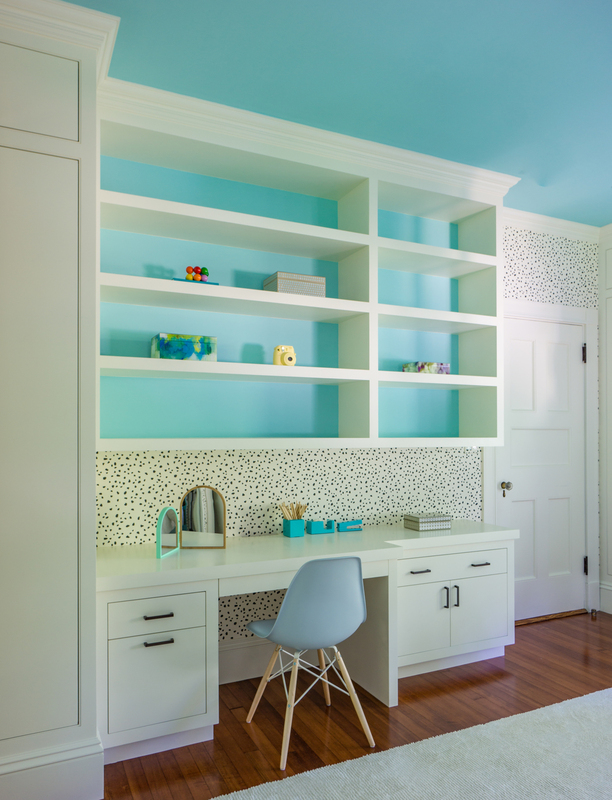 Through closely working with the clients and Steph Rossi of Spazio Rosso, ABA created a custom interior palette of bright colors for children's rooms, and soothing tones for the master suite. 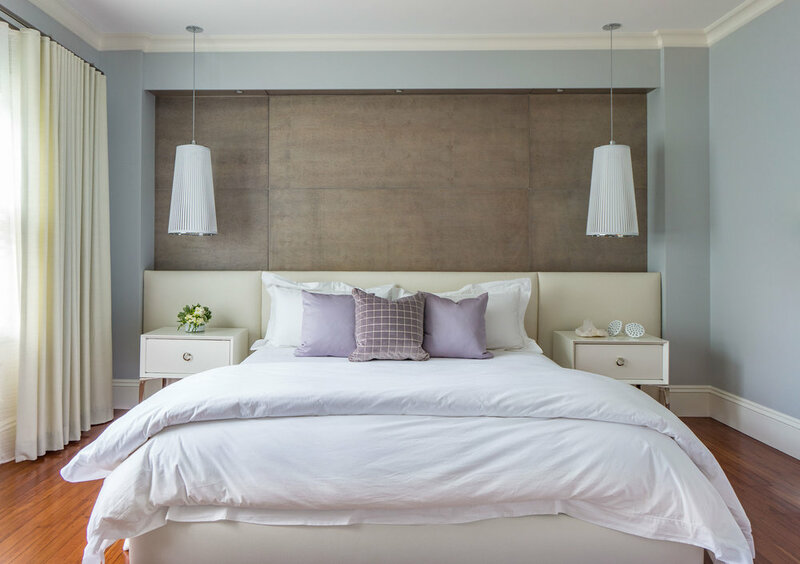 This was achieved through carefully integrating new high-end cabinetry throughout, including a concealed flush cabinet system replacing a turn-of the century closet, and custom birdseye maple paneled headboard in the master suite. The combination of traditional and modern is unified by a theme of high-quality craftsmanship, seamlessly integrating with the traditional details where necessary, and boldly holding its own where not.